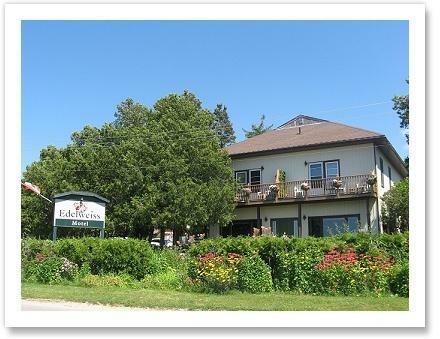 The Edelweiss Motel offers beachfront accommodation in Port Elgin, Ontario, Canada (Saugeen Shores). 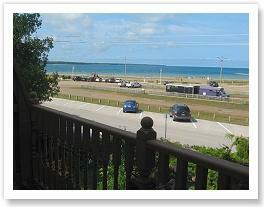 We are located right across from the town's golden sandy beach.. 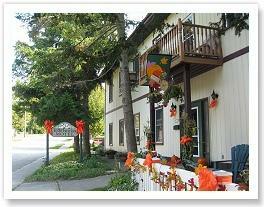 The motel's historical charm, cleanliness, modern comfort and prime location make it an ideal vacation spot. Our family atmosphere and friendly staff are well appreciated by our guests. Directly across from our door step you have easy access to a beautiful and safe sandy beach, restaurants, playgrounds, parks, miniature golf, a miniature steam train and a modern harbour and a flea market every Wednesday in the summer months. 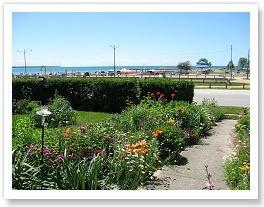 A short walk will take you to the beautiful marina, along the lakeshore or through shady, wooded areas.